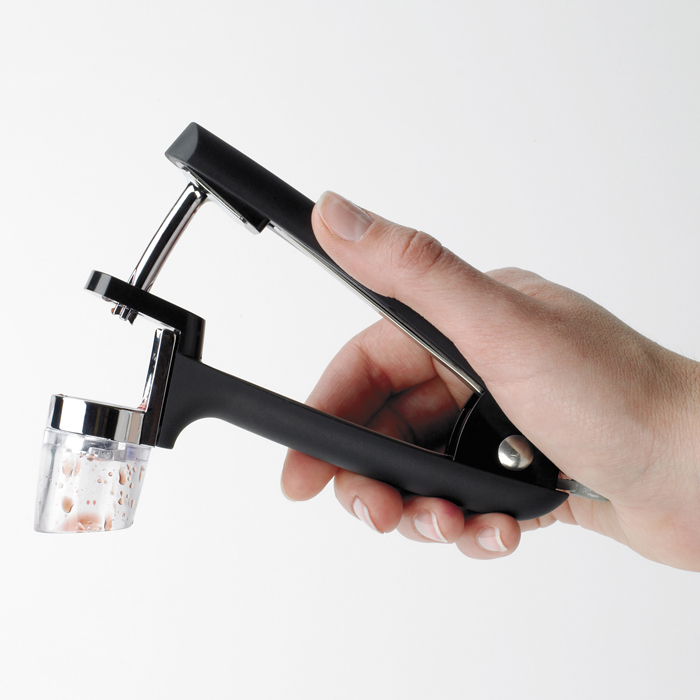 The OXO Good Grips Cherry Pitter, features a removable splatter shield that directs juices downward and prevents them from splattering all over your kitchen. 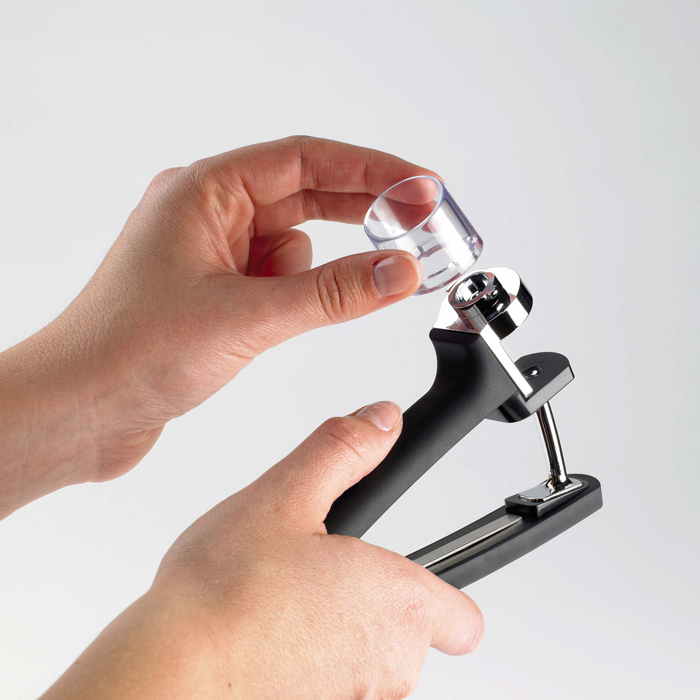 When not in use, the splatter shield fits inside the front chamber and a lock holds the Cherry Pitter closed for convenient storage. Soft, comfortable non-slip handles absorb pressure while you squeeze. 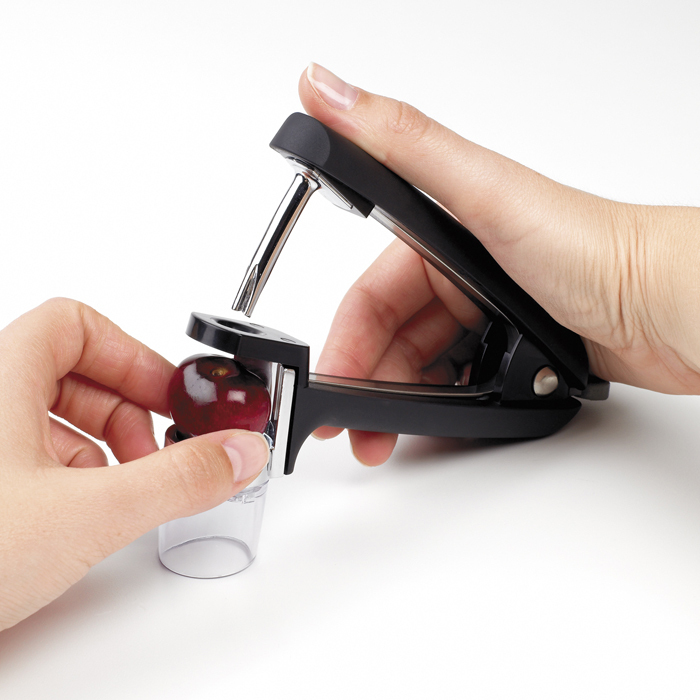 The cherry holder is extra large to accommodate different kinds of cherries and has a recessed cup to securely hold smaller varieties when pitting. 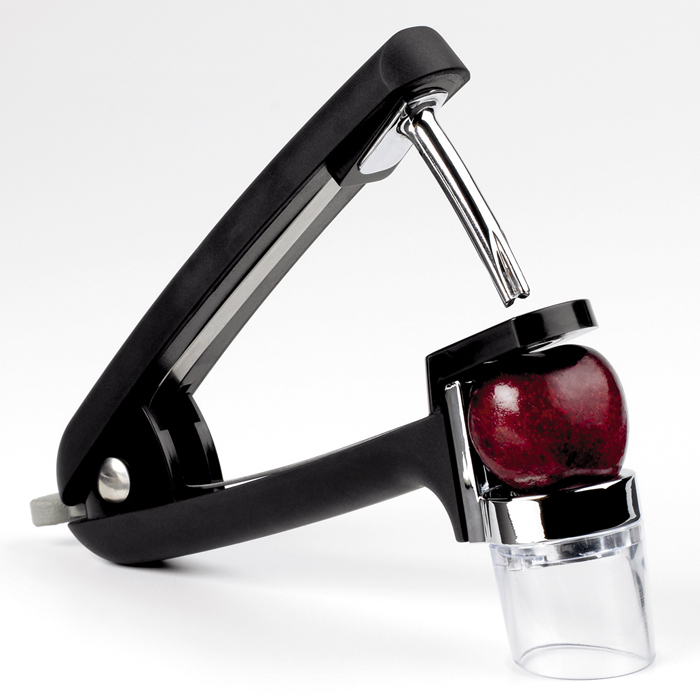 Also try the Cherry Pitter to prepare fresh cherries for small children.